When I started reading Cry of the Sea, I was expecting a high fantasy tale with strong mythical undertones leaving me with an overwhelming desire to grab my scuba gear and head for the nearest beach. What I got was something entirely unexpected. Juniper Sawfeather is a typical seventeen-year old who is easily embarrassed by her parents. Of course, June’s parents just happen to be well known environmental activists who have a reputation among the ‘popular’ kids as being slightly weird. June wishes to shed this associated persona and head off to a college of her choosing to study marine biology rather than follow in her parent’s footsteps. The college/study storyline continues throughout the book, and it’s lovely to see how Juniper’s feelings towards her parents change along the way. Being dragged from her warm bed at 2 am, to answer an emergency call, is nothing new to Juniper and her father. They are called out to handle animal rescue and care, following an oil spill. The father and daughter team discover dead fish, coated in oil and porpoises with their blowholes sealed shut, and as they film the aftermath of the oil spill in a bid to entice the national press to their plight, June discovers three mermaids. Driver’s description of her mermaids is enticing and nothing I’m read before. She has crafted these creatures with care and attention. If you are expecting them to have long blonde hair and a clam bra, then you’ll be in for a shock. Juniper and her father take the mermaids to a Mammal Rescue Centre where we meet Carter and Dr. Schneider. There is an instant attraction between Juniper and Carter, and I like how their relationship unfolds slowly. Cry of the Sea is a well-researched and expertly crafted novel with strong environmental vibes. Where I was expecting fantastical mermaid scenes, instead I got a close up view of how sea life is affected by pollutants, interwoven beautifully with a story of friendship, loyalty and ancestry, and the novel was more believable for this. I would have loved the relationship between June and the mermaid to be explored on a deeper level; the ending was cut a little short for me, perhaps there is scope for a sequel? I had expected a make-believe world when I dived (no pun intended) into this novel, but I got a sweet, well written page turner, filled with real characters and very real situations. 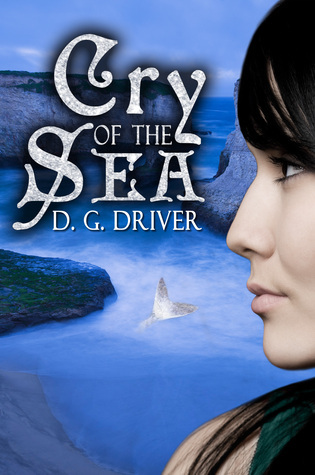 The added teaser of a mermaid adds a mystical tone to a wonderful book. Nice review, Shelley – I enjoyed this book too! It sounds lovely, Shelley. Thanks. This is a good review, Shelley. I do like the sound of this.